AV191 is seen resting following a 76A service to The Square during its Conyngham Road days. The 76A was used southbound at this time to indicate services that operated to The Square only. This was the last night of such activity, the 76s changing the next day with the 76A limited to a few departures each weekday (click on photo for larger version). AV191 is a bus I have a lot of recollections of. I always use to see it, both in its Phisboro days, and its Conyngham Road days. For this reason, it seems so strange that I actually only ever took 3 photos of this bus. This feature provides all 3 photos. AV191 was delivered in October 2001 in CitySwift livery of White, Blue and Orange. 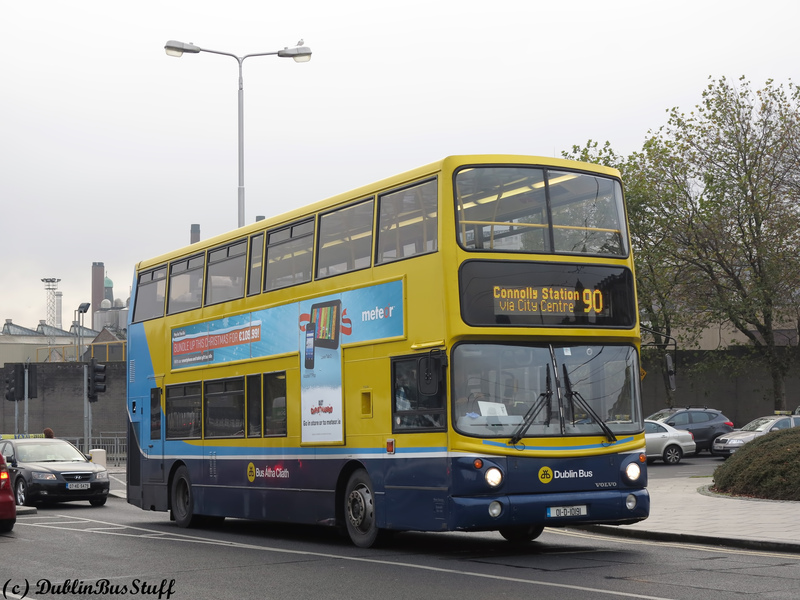 It operated Euro services from Phibsborough/Broadstone, cascading older RVs into regular service. It's strange to write this, but this was a policy at the time, with many of the newer buses being kept for solitary half-laps on Euro duties in the morning and evening. 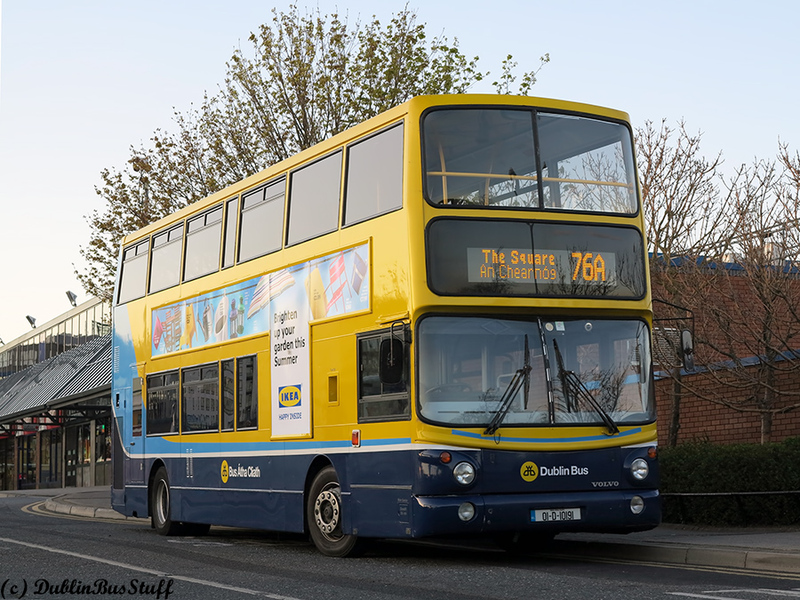 It has a long association with Broadstone Euro services, though migrated to Phibsborough for regular services towards its end of time there. AV191 moved to Conyngham Road when the 25 group of routes returned there on the 21st November 2010 as part of the Network Direct programme. AV191 was withdrawn from service in June 2015. It was sold on for further service in the UK, operating with Beaver Bus in Leicester. AV191 is seen operating Route 90 at Hueston Station on the 28th November 2013. It is already scrolled for the return service to Connolly Station (click on photo for larger version). 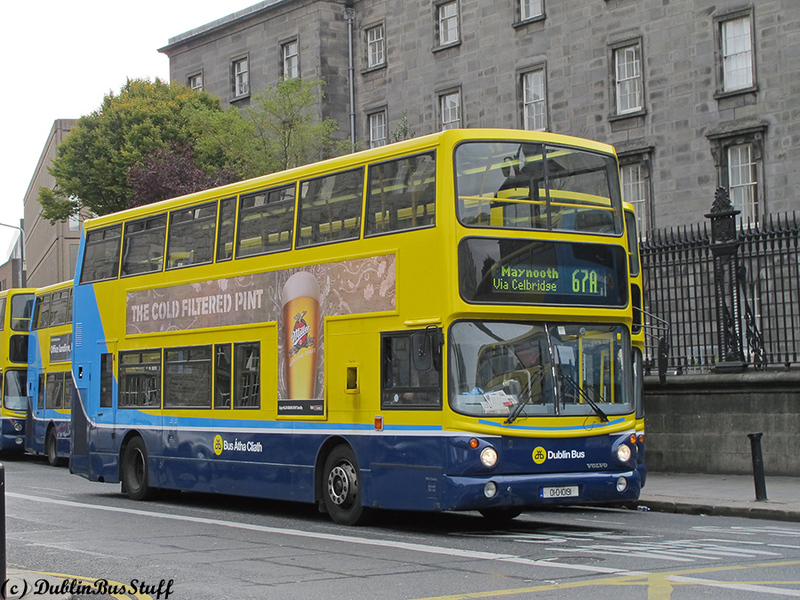 AV191 during its Phibsborough days operating Route 67A to Maynooth on the 18th October 2010 at its Pearse Street terminus. In just over one month, this route was gone (click on photo for larger version).